When I thought about maple water, I thought to myself, I'm sure I've seen it before? Where could I of got maple water from? Lo & behold from my TheVeganKind box!! - DRINKmaple were featured last year July but I didn't try it, my nan ended up sipping it one day so when I was offered to try the brand again, I said yes! 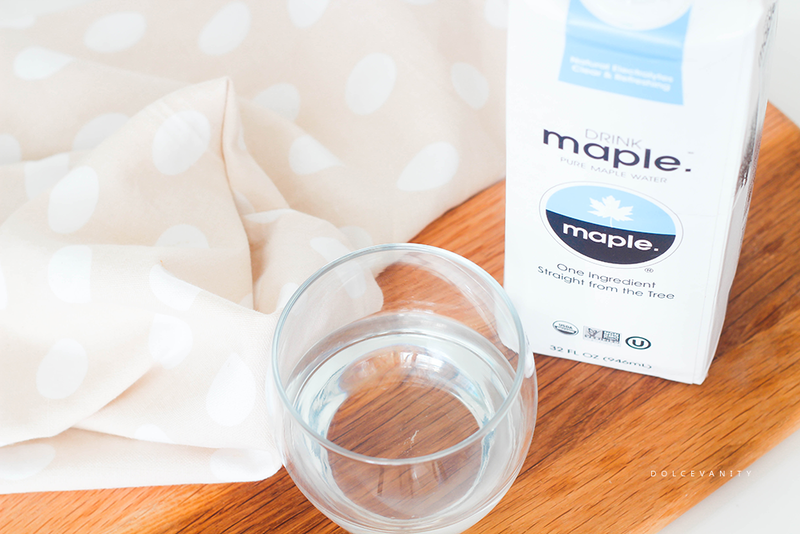 Maple water is made from the pure sap tapped directly from maple trees in the Spring and just this one ingredient is said to give so much benefits. With the consistency of coconut or regular water, with a slightly woody maple flavour. "Maple trees awaken in the spring and the sap begins to run, carrying with it many healthy nutrients – 46 in all." 46 nutrients within 1 single ingredient. That's something to marvel at. Natural hydration. Low in sugar, half the sugar of coconut water. High in manganese - which is a powerful antioxidant that can help with thyroid health and control blood sugar. Gluten-free, dairy-free, vegan & non-GMO. Malic acid, is an organic acid that may help with muscle soreness and reduce fatigue. Nutrient Rich - minerals, polyphenols, antioxidants, electrolytes and prebiotics. ·Electrolytes are minerals in your blood and other body fluids that carry an electric charge. Also DRINKmaple are giving back: "Every bottle of DRINKmaple sold will supply 200 gallons of clean water to individuals in developing nations beset by drought and disaster!" Wicked. I was sent 3 different sized bottles of DRINKmaple, 250 ml £2.49, 355 ml £3.29 & 946 ml £4.99*. One is a carton with a straw, another is a screwcap bottle and the other is a full sized carton. They've got all bases covered, I like the small juice carton as if you wanted something quick to drink, that's refreshing for a boost, it's a good sized carton for just that. While the screw cap bottle is good to pop into your bag, fridge at work - whatever and have on the go. 946ml is going to be ideal for recipes...Yes recipes, these can be used for smoothies, cocktail mixes and even within food - so many recipes on the website. I'd definitely never say no to maple water, it's different but not too different, it's like I've put a hint of something within my water and I adore water, I go through bottles of the stuff so these....won't last long. If you're looking for a stockist, Holland & Barrett is your best bet! *Current prices at Holland & Barrett's at time of writing & publishing. Haha maple syrup is highly addictive. Have to have have it with my pancakes but this is a healthy addiction LOL! I love how jam packed with antioxidants this is! Me too, it's amazing with all the properties. How can you fault this drink. I'm always really wary of water that isn't just water (if that makes sense) but as someone with Fibromyalgia I would be silly to not try something that claims to be good for muscle pain! Oh water with any additions to it, I know what you mean. This definitely can't hurt, I'd be so happy if this helped to ease your muscle pains! I love your blog! There's always something to appeal to a natural/green/healthy girl like me! And today is no exception. I've been wanting to try the maple water. I'm part native American and my mother read me indigenous stories when I was little. I remember one of the stories had a heroine who drank maple water and ate venison. The maple water sounded so magical. We even made our own maple syrup one year, but oddly enough I never tried the sap straight from the tree. Oh my goodness how fantastic, part Native American - beautiful. Oh it's lovely, the taste isn't strong, just light, refreshing and ever so slight with flavour. It's hydrating but I could imagine people might think it's going to be sweet as they could associate it with maple syrup. Thank you for your lovely words, I do try as I love a natural more way of life where possible! It can be looked at as expensive, compared to other waters. These sound really worth it!! I love the health benefits that go with drinking it!! Me too, so many health benefits and just one ingredient - can't beat that. 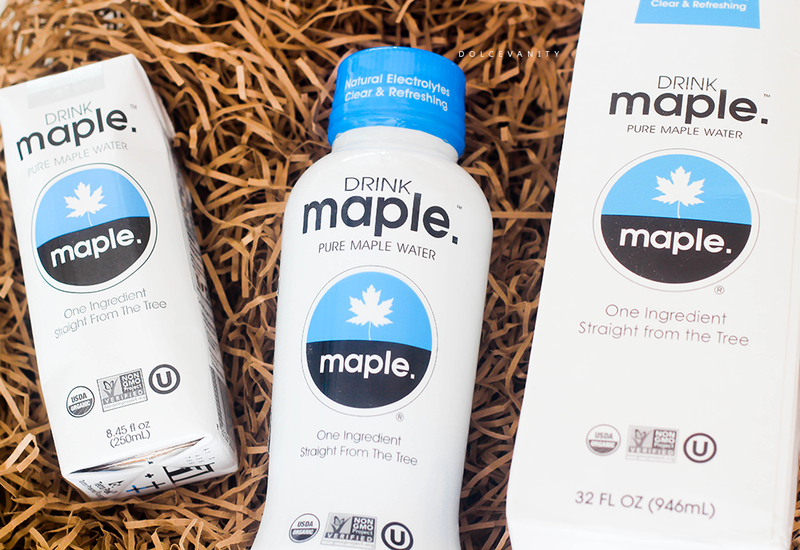 I've never heard of maple water, it does sound a little different. I don't think many may have heard of it, definitely different with some great benefits. OMG I knew about coconut water but maple water, seriously??? I need this! i love maple syrup. I love how clean and simple the packaging is for these, it sounds like it's full of good stuff also! Yup! You can't beat 1 ingredient and 46 nutrients. This sounds great, I hadn't heard of the brand before! Been around for a minute, great supplier of maple water. I love that you're always bringing the coolest alternatives to light on your blog! Thank you, such a positive thing to say! I do try lol. These look interesting, I've not heard of them before. What a lot of nutrients. Amazingly a lot, 46! Can't beat it. Oh I have never heard of this brand before, but it does sound interesting! I'm glad to bring it to your attention - something new to try. this is really interest. never heard of maple water before. i wasn't a fan of coconut water but am intrigued by this! I never use to be but the taste grew on me, it's always in the home. I haven't heard of this before, but I am maple syrup obsessed, so I think I would love this. You might just like this too, it doesn't have that sweet taste maple syrup does in my opinion but it's still a nice drink.